Below are the complete details of the Principal jobs in University Of Education in Lahore. Skills Required for Job: Candidates must have Good Communication Skills. Good Team Working Skills. Principals have to interact with lots of people, including students, teachers, parents and school board officials. Problem-Solving Skills. Communication Skills. 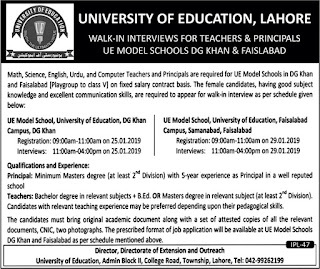 Qualification: University Of Education Lahore Jobs For Principal must be Master Degree with Minimum 5 year Experience in relevant field, its a permanent based jobs, both male & Female can apply for this post the last date of submission application is Continue. 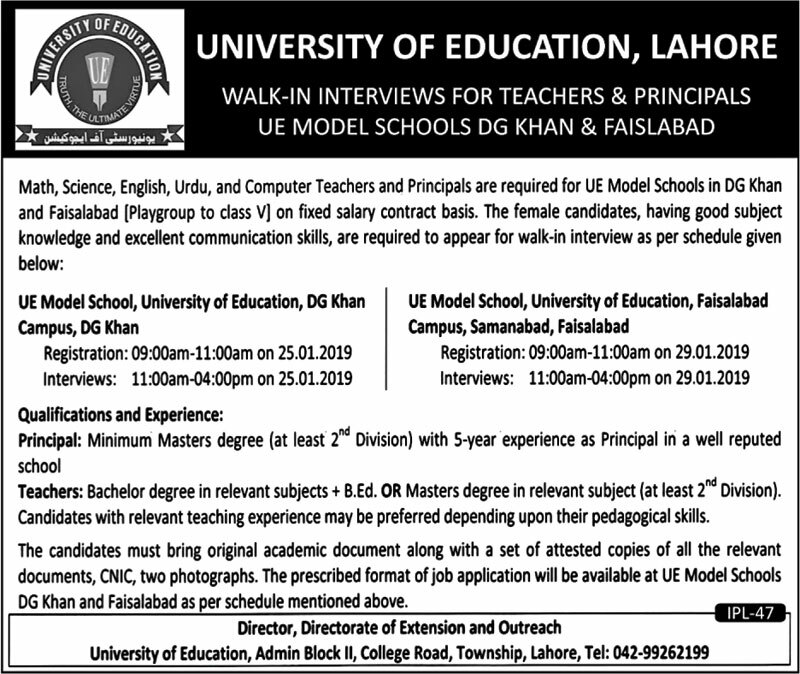 Principal jobs in University Of Education Lahore, in Pakistan published on Paperpk.com from newspaper on January 07,2019. Job seekers who are already working as Principal , Vice Principal , School Principal can also apply for post of Principal.